Commissioned by the Four Seasons Hotel for their 50th anniversary. Eight artists worldwide were chosen to interpret the Four Season's Tree Logo. 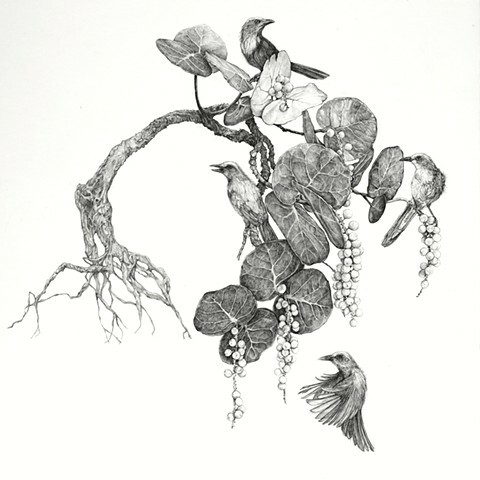 A local interpretation, sea grape tree populated with endangered Florida scrub jays.